The World No. 9 team will compete in the Gold Medal match for the first time in 20 years as they take on Japan tomorrow. A confident Indian Women’s Hockey team will be vying to win the Asian Games’ Gold Medal after a long wait of 36 years when they take on World No. 14 Japan in the Final match of the 18th Asian Games Jakarta-Palembang 2018 here at the Gelora Bung Karno Hockey Field on Friday, 31st August 2018. The impressive Indian team has remained undefeated throughout the tournament by registering huge victories against Indonesia (8-0), Kazakhstan (21-0), Republic of Korea (4-1) and Thailand (5-0) in the Pool stages and securing a hard-fought 1-0 win against a resilient Chinese team in the Semi-Final. The team’s forward-line, led by the experience of Vandana Katariya and Captain Rani, has also been in prime form throughout the tournament, scoring a total of 39 goals (38 in four Pool B matches, 1 in Semi-Final) in the five matches that they have played. 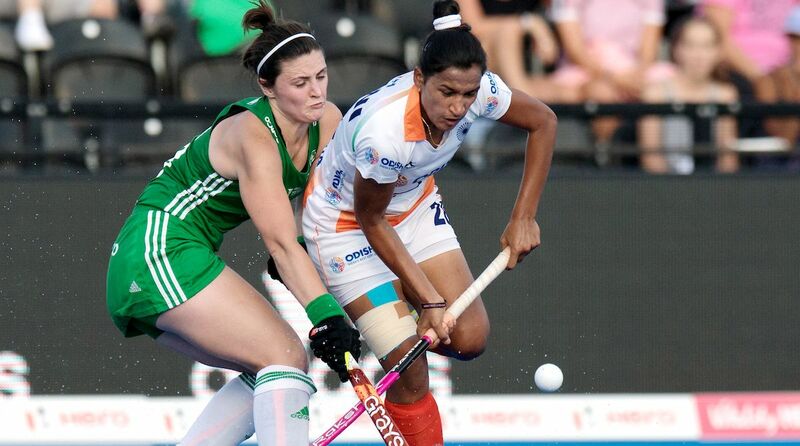 The Indian team will be expecting their Forwards Navneet Kaur, Navjot Kaur and Lalremsiami to deliver again as they look to win only their second Gold Medal at the Asian Games after having won one Gold, one Silver and three Bronze Medals in their nine previous appearances. The Indian Women’s Hockey Team will be in action against Japan in the Gold Medal match on Friday, 31st August 2018 at 18.30hrs IST.